Career & Alumni Services maintains an extensive resource library containing materials for preparing professional resumes, drafting cover letters, researching job opportunities and identifying professional networking strategies. Students are provided career planning guides to address their needs in each year of study. Additionally, workshops and individualized counseling sessions allow students to learn about career options, identify career interests and areas of personal strength, and develop networking and interviewing skills. Attorneys and judges from the Hampton Roads area and members of the law faculty routinely participate in panel discussions and presentations on judicial clerkships, governmental positions, private firm employment, public interest employment and nontraditional career options. An important avenue for connecting law students with local judges and practitioners is the James Kent American Inn of Court, an amalgam of judges, lawyers, law professors and students that holds programs on ethics, legal studies and professionalism to improve the practice of law. At Regent, the James Kent American Inn of Court invites a select number of third-year students to join as student members and provides networking opportunities with members of the bar in a nonlegal setting. A top concern of students is finding a job after law school. Regent Law understands that. While you are in law school, career development will be a critical component of your education. From the beginning of the first year of law school, the law school career services office provides you with guidance in the areas of professional development and employment. We host employers on campus and maintain an extensive library of materials—all designed to assist in law student career placement upon graduation. See where some of our students have interned. Our alumni practice law in 49 states and overseas, distinguishing themselves as judges and judicial clerks, partners and associates in law firms, or mayors and legislators. We can’t wait to hear your Regent Law success story! Regent Law graduates have entered private practice in law firms throughout the United States, and have secured positions as elected and appointed judges in numerous courts. Regent Law students have been particularly successful in securing highly competitive judicial clerkships. Many have also served in organizations devoted to public interest and constitutional law issues. Below is a sampling of where our alumni are employed. District Court Judge; Kenensville, N.C.
District Court Judge; Lexington, N.C. Circuit Court Judge; Pendleton, Ore.
General District Court Judge; Lovingston, Va.
General District Court Judge; Virginia Beach, Va.
Regent University School of Law firmly expects that employers will observe the principles of non-discrimination and equality of opportunity with respect to classifications protected by law, in regard to hiring, promotion, retention and conditions of employment. In order to join the legal profession and work as a lawyer in the United States, individuals must be licensed by the state or territory in which they plan to practice. The federal government does not license lawyers. 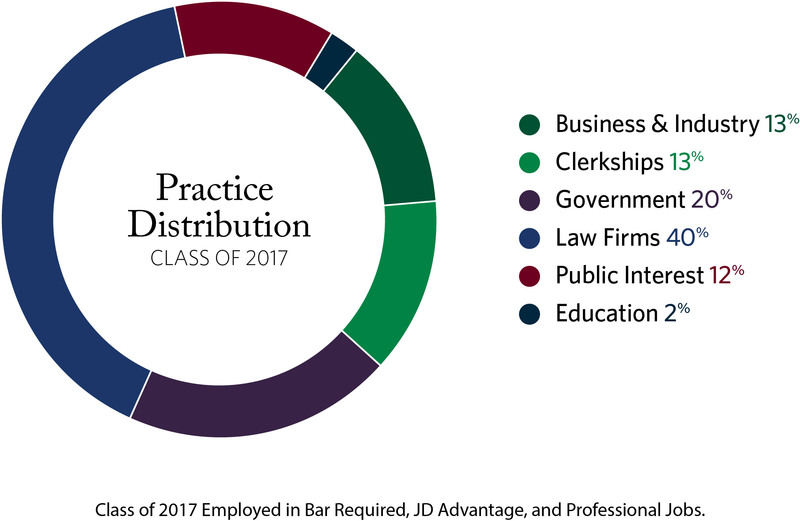 Most states require prospective attorneys to graduate from an ABA-accredited law school, pass a state-administered bar exam, pass an ethics exam, and satisfy character and fitness standards. In some cases, it is possible to seek admission to two different states during the same testing period. This depends on whether the two states offer the state-specific portions of their bar exams on different days of the week. Attorneys admitted to one or more states may seek admission to another state either by motion or by taking the new state’s bar exam. This varies by state. Every state offers its bar exam during the last week of July and the last week of February. Most exams consist of a Multistate Bar Exam and one or two days of state specific testing. The Multistate Bar Exam (MBE) is a six-hour, 200-question, multiple-choice exam covering six subjects (Torts, Property, Contracts, Constitutional Law, Evidence, and Criminal Law). The state specific portion of the exam typically consists of essay questions that test the applicants’ knowledge of various subject areas. State Bar Admission Requirements for All States: Comprehensive guide to bar admission requirements. Bar Admission Offices for All States : Contact info for bar admissions offices across the United States. Bar Review Courses: Links of available bar review courses. Comprehensive Bar Exam Information: Provided for each state. You may interview candidates on our Virginia Beach campus. We will coordinate the interview schedule and tailor the interview program to fit your individual needs. Simply fill out the Employer Information Form and select “On-Campus Interviews” under “Services”. If you are unable to visit our campus but would like to receive resumes from our students, you may participate in our resume collection program. Simply fill out the Employer Information Form and select “Resume Book ” under “Services”. You may post job openings directly on PathFinder. Job postings are always available and readily accessible by our 3,000+ alumni and 500 law students. Review instructions on how to post jobs online. Regent Law calculates cumulative grade-point averages and class ranks for all students. The mean grade is a “B” in the grading system. In addition to a student’s academic record, we urge you to give serious consideration to a student’s total profile including factors such as prior work or military experience, extra-curricular activities, undergraduate performance, personality, specific substantive or geographic interests, and faculty recommendations. The Grade Point Average (GPA) is obtained by dividing the total number of quality points earned by the total number of hours attempted. Repeated courses are treated differently. Our students have opportunities to participate in a number of law school extracurricular activities. From student governance to moot court competitions, student involvement in law school organizations adds an extra dimension to the academic experience by providing professional growth, personal enrichment, and community development. The Regent University Law Review is a law student publication that approaches legal issues from a Christian worldview with high standards of excellence. The Law Review provides logically sound, philosophically cogent positions on current and pressing legal concerns that are relevant to the legal community. Founded in 2014, Regent Journal of Global Justice and Public Policy is a Christian academic journal dedicated to scholarly publications on all issues affecting global justice both in domestic and international law. The Journal features articles, notes, case comments, and reviews submitted by prominent scholars, practitioners, and students. In constant pursuit of superior content, the Journal actively solicits manuscripts, both secular and religious, which focus on international law. Law school student government organizations allow students to serve fellow classmates while fostering leadership skills and encouraging community development. These organizations also offer an excellent pathway for professional development in law school. In addition to the skills students learn in the classroom, student involvement in law school organizations is a key component of the academic experience. The Student Bar Association (SBA) is the law school student government organization tasked with governing the Regent University School of Law. It provides representative leadership to the university and features occasions for social outings and ministry opportunities. The Synergy Bar Prep Course, developed by Randy Singer, has helped scores of students pass the Virginia Essay portion of the Virginia Bar Exam. And now, it can help you, too! Taught by Regent Law Professor Ben Madison, an expert in effective Bar essay analysis and writing, and Rosalyn Singer (who has taught Synergy for over seven years), this course will meet each weeknight starting Monday, July 9 through Friday, July 20 from 6 – 9 p.m. on Regent University’s Virginia Beach campus. Questions? Please contact Law Career and Alumni Services at 757.352.4591 or lawcareerservices@regent.edu.